Spero's Herbalicious Chèvre tastes like real herbed goat cheese, because it's made for goat cheese lovers! 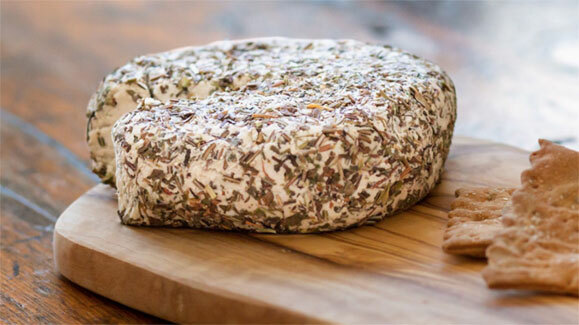 A mind-blowingly goaty flavor and texture with a delightful blend of herbs de provence, this fresh and fragrant cheese pairs well with any Italian dishes, salads, wraps, sandwiches, wine & crackers, and more. Spero's patent-pending cheese is made like dairy cheese so it tastes amazingly close, but of course, it's 100% vegan. 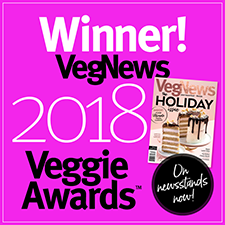 Bursting with flavor, it has the highest protein content of any plant-based cheese with 5g per serving, and is packed full of healthy vitamins and minerals to make this a vegan cheese that's actually good for you. 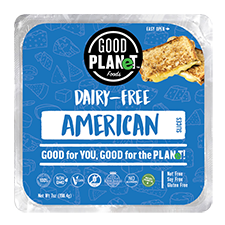 GMO-free and free of common allergens including soy, gluten, dairy, peanuts and tree nuts, this is one delicious soft and spreadable cheese you won't want to miss! 5 oz. (142g) Herbalicious Chèvre cheeses are $9.49 each.